I ventured to the city to answer this query. 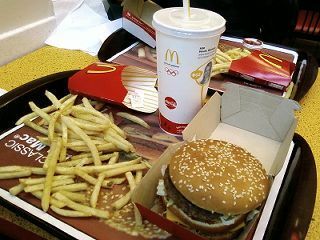 I reviewed the typical fast food facilities in search for the greatest one. I'm not encouraging bad eating habits nor do I ask you do the same; this experiment is simply a strange way of uncovering the best mainstream fast food restaurant. I'm merely making the wide variety easier. So this weekend, why not treat yourself to some junk food. Accompanied by my father, we filled our wallets and endeavored for our unhealthy discovery. The popular restaurants that were judged are: McDonalds, Hungry Jacks, KFC and Subway. We made a rule that we were only to order fries and a burger from each of the dine-in/take-away facilities. In total, the overall score for each restaurant was judged out of ten. All scores for the individual restaurants are at the end of article when I have reviewed all of them. When we first entered town, I spotted McDonalds from a mile away. So we made our first pit-stop there. It was clearly evident that there were a lot of other people in the restaurant, which made for a busy and messy floor. I'd noticed that with so many individuals in the one place, they didn't have time to clean the white ground that everyone is stepping on. When we had eventually got the front of the counter the worker who served us looked tired and stressed, but still managed to hide her grieve. Although she seemed to be a little rude in the way she spoke to us. She felt demanding and seemed to be rushing our order. I can understand with the amount of customers that were present that she would do that, but we still need to treated with politeness and that will cost them in the overall score. However, the meal was made and given to us fast; the presentation was spectacular and the taste was delightful. Not far was Hungry Jacks. As soon as we walked in, I was amazed by the space of the restaurant; they had really used their area well. There were loads of other people inside, though we were served quickly and efficiently. I discreetly studied the cleanliness of the place and discovered that the area was alright considering the space and the amounts of visitors. I had also taken notice of the employees behind the restaurant. They seemed to be hard workers, making the meals fast and distributing it to their customers quickly. However, the presentation of the food was untidy. It looked like a rushed job, but the food speaks for itself with its stomach filling taste. KFC was next on the list. The size of the restaurant was average and the amount of customer capacity was the same. As soon as we walked into KFC, the cashier had a smile on her face, leaving me to feel warm and accepted in the restaurant. She took our orders with patience and politeness; she even talked to us while our meal was being made. This made for an excellent customer service bonus. As I took my seat I scanned the floors and cleanliness of the tables. I found that they were alright, not to clean, but not too dirty either. The meal itself was given to us on time. So we ate it and made our way to the final takeaway restaurant. Subway was last. Until this point, our stomachs were full. We had to also change the rules slightly with the ordering in Subway because of their menu range. Instead the alternative was to order a 6-inch sub. I particularly enjoyed their personalized customer service and their interacting with each customer that was there. 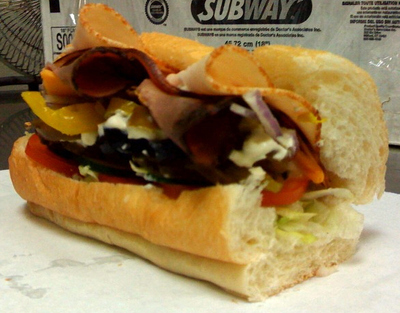 It was clear that the worker's role was to help create the customer's perfect sub, adding what the customer wanted and disregarding what they didn't. Subway kept their floors and general area clean and tidy. The presentation of the food was outstanding and the time in which it was made incredibly quickly. The taste was marvellous also, mainly because I had the opportunity to make it myself. There you have it, my personal choice for the best fast food in Adelaide. So come on, indulge and treat yourself to something unhealthy this weekend. I dare you.